With the Black Panther movie smashing the box office, we decided to read some comics about Black Panther smashing systemic oppression. It might only be in our dreams but it’s important to us, damn it. 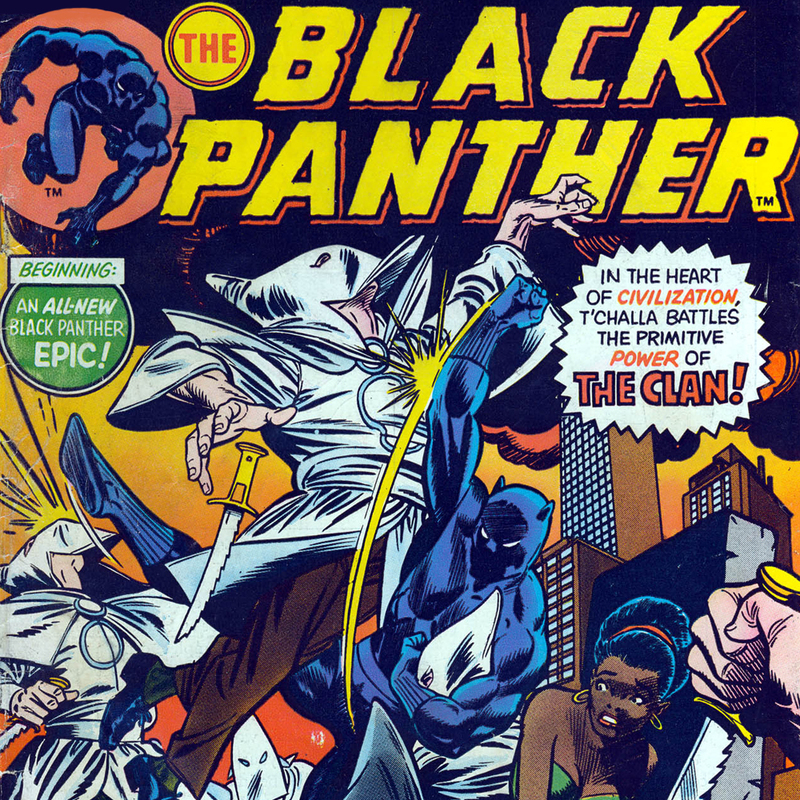 We briefly talk about the long history of Black Panther in comic books and read a story about him facing off the Ku Klux Klan. No, it’s not some pseudo-KKK knockoffs, it’s the actual KKK. Well it is some pseudo-KKK knockoffs at first but he fights the real ones later. In this episode, Ryan finds his spirit animal in comic books. Phil is butthurt people think he and Darryl are the same person but is it really Darryl and Sly that are of one mind in this episode? Tune in to find out!